THANK YOU TO EVERYONE WHO CAME TO OUR 2018 LAVENDER DAYS! 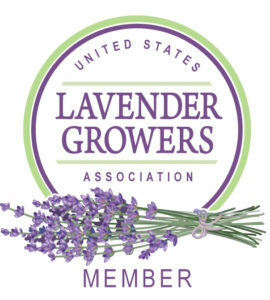 Join us on Columbus Day weekend for Lavender Days at The Farm at SummitWynds. This family-friendly event will take place from Friday, October 5 until Monday, October 8. Please note the timing of the event varies each day. Our entry fee is $8 for a one-day pass or $15 for a weekend pass. Please note that 7 and under and 85 and over are free. There are also special activities that are taking place during Lavender Days. Please see our current schedule below. Please note that this schedule is updated frequently and is subject to change. Visit and learn about the animals on the farm. Learn about how a lavender wand is made. Go on our one-mile Nature Walk with a guide. Learn about the history of The Farm at SummitWynds and the property. Impress your guests with a beautiful wreath made out of lavender, herbs and vegetables. Lavender is well known to help reduce stress and promote relaxation, as well as being used for a skin treatment. In this workshop, The Soap Pedlar will guide us on using lavender- infused oil and beeswax to create a soothing balm to use on dry skin or rub some on a night and let the scent help ease you into a peaceful slumber. Cost is $15 person and includes all ingredients and materials to make a 4 oz. jar of balm to bring home. This class is limited to 12 people. The Violet Hummingbird will lead this workshop and each attendee will leave with a rollerball to take home. This workshop is $5/person and includes all ingredients and materials. Learn how to incorporate lavender into your cooking with Elena Viapiano from Baked in Holden. Watch an incredible bird demonstration presented by On the Wing.